LP absolutely loves to read and gets through books so quickly. Little Man is following in her footsteps, loving nothing more than our regular story times at home. But, how can you keep children with a love of reading stocked up on books? 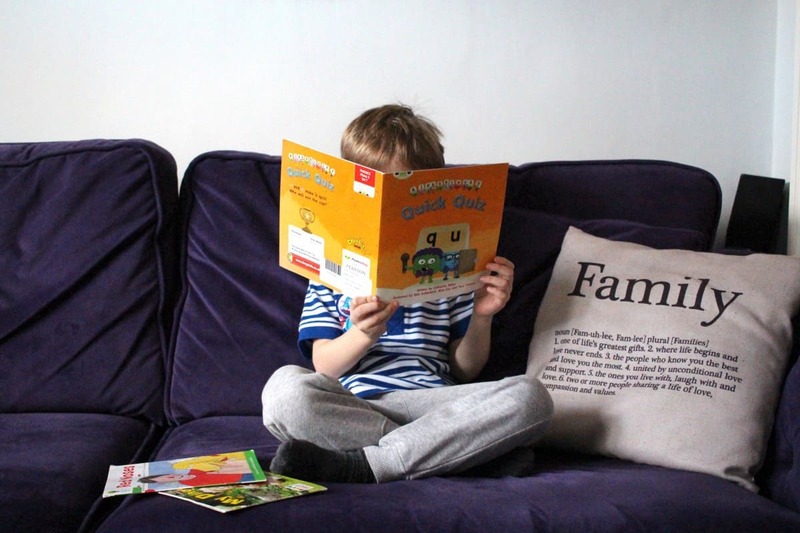 I know, we could go to the local library but with the children at school all week and us often away at the weekends it isn’t always easy to get to the library – or to return books on time. But Reading Chest have brought the library to us. 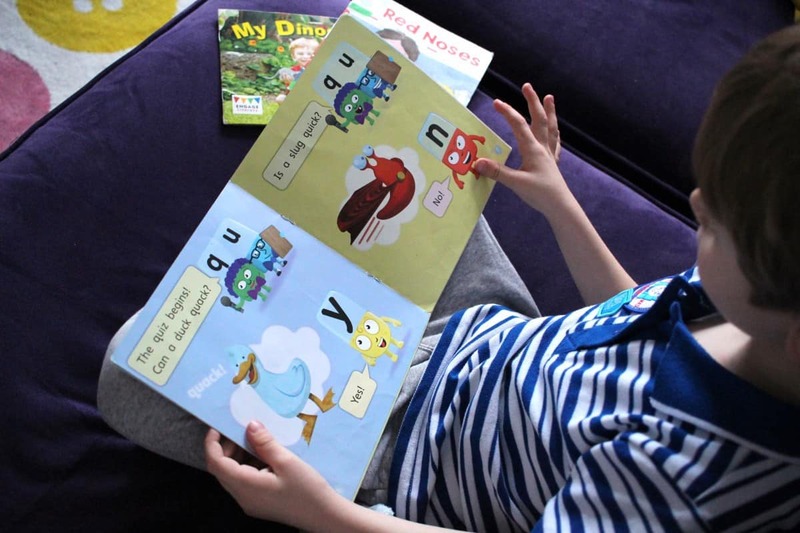 Reading Chest is a book rental service that specialises in reading scheme books for children aged 4 to 9 years. 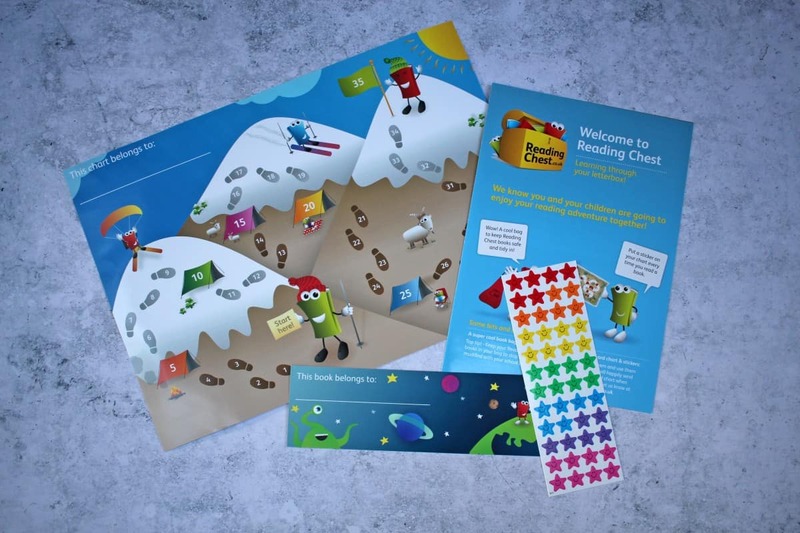 So, the books that your children read at school, in their colour bands, are all available through Reading Chest giving complete peace of mind that the books will support your child’s learning as well as being fun and interesting to read. When you sign up to Reading Chest you choose a package. This could be bronze, silver or gold and lets you have between four and six books at any one time with either four swaps per month or unlimited swaps depending on the package. Reading Chest simply posts books to you and when you’re done you post them back. Our initial delivery arrived within two days and each time we send books back it’s no more than four days before the new ones arrive – often even sooner. Our first Reading Chest delivery included backpacks for the children, a sticker chart, stickers and a bookmark as well as the books for the children to read. The sticker charts are great as you can add a sticker each time your child reads a book, working their way around the map in a trail of stickers. 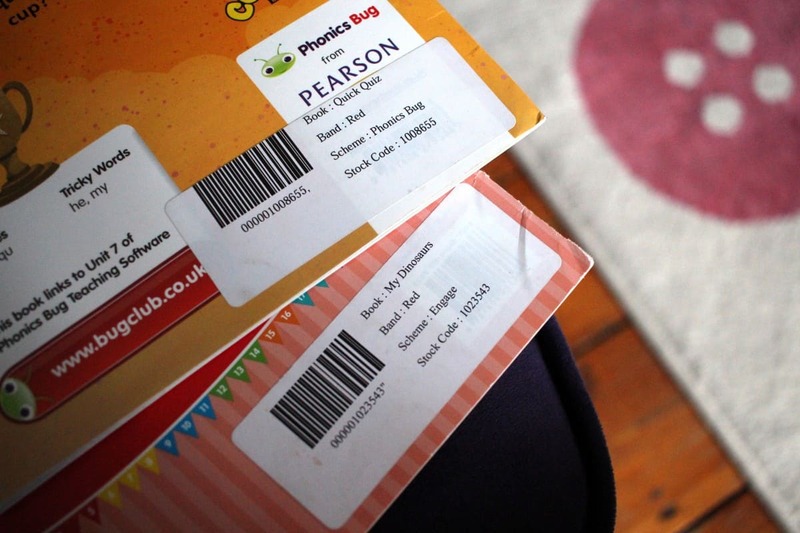 The delivery also included a pre-paid envelope to return the books and so you simply put the books in the envelope and pop them in the post box when you are ready to return them. 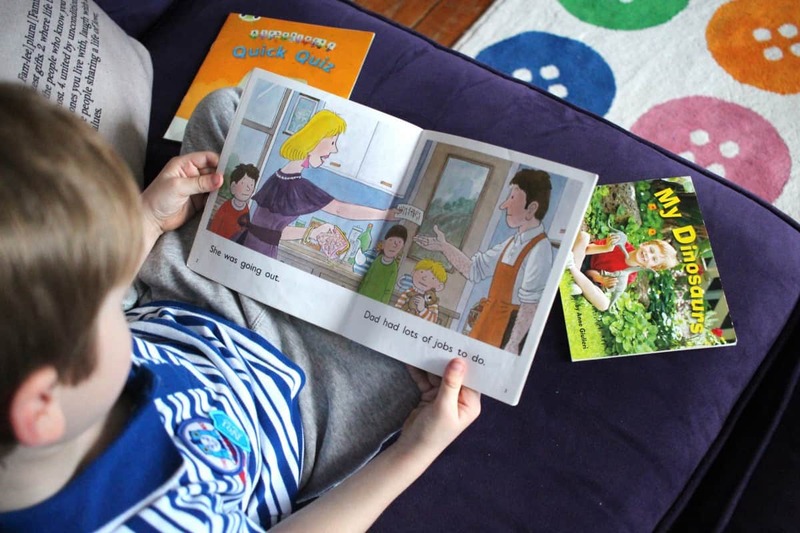 With Reading Chest you can have books sent for one child or siblings depending on the package you choose and with our gold package LP and Little Man both have three books which they can return whenever they like. 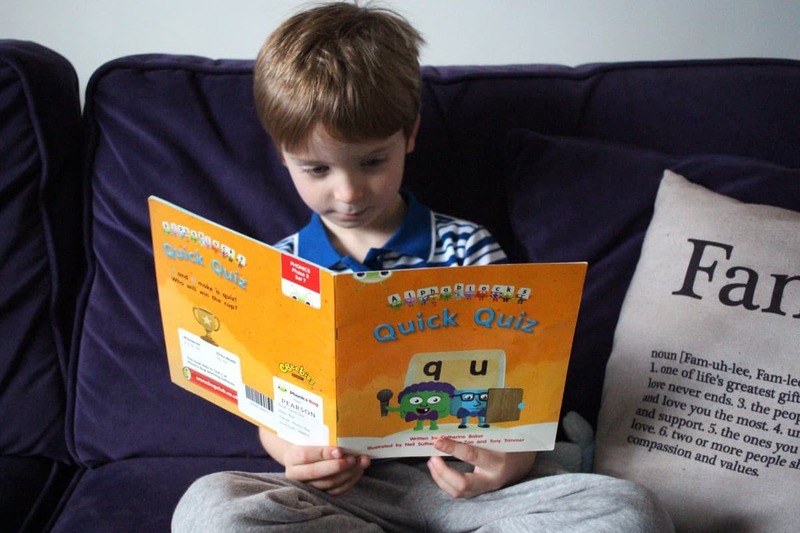 Through Reading Chest we can make lists of books they’d like – giving information like their age and reading level, fiction or non-fiction preference, if there’s a specific reading scheme we want to focus on or if there are books we’d like to avoid – anything too scary, too girly or nothing about dinosaurs for example. If your children don’t like fairy books, pirate books or books about insects this can all be tailored to you. 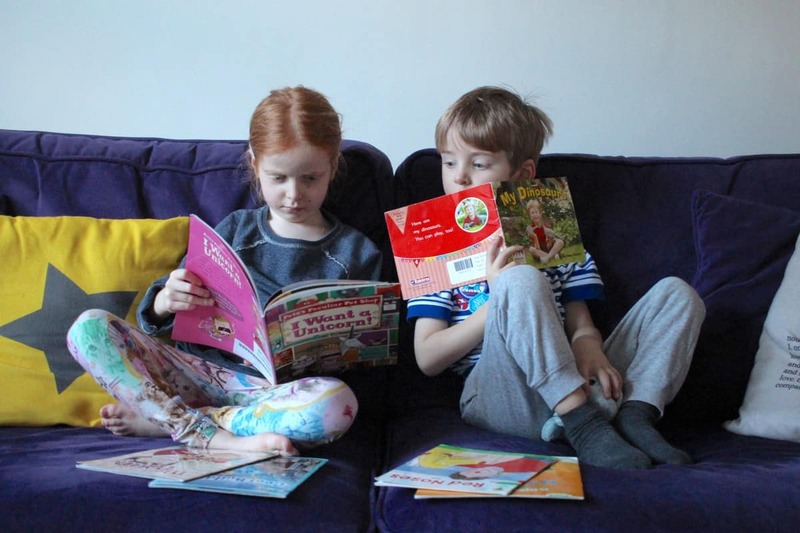 Or, like us, you can leave it completely open so we are receiving a mixture of fiction and non-fiction books from all of the reading schemes that are just tailored to the children’s reading level at school. 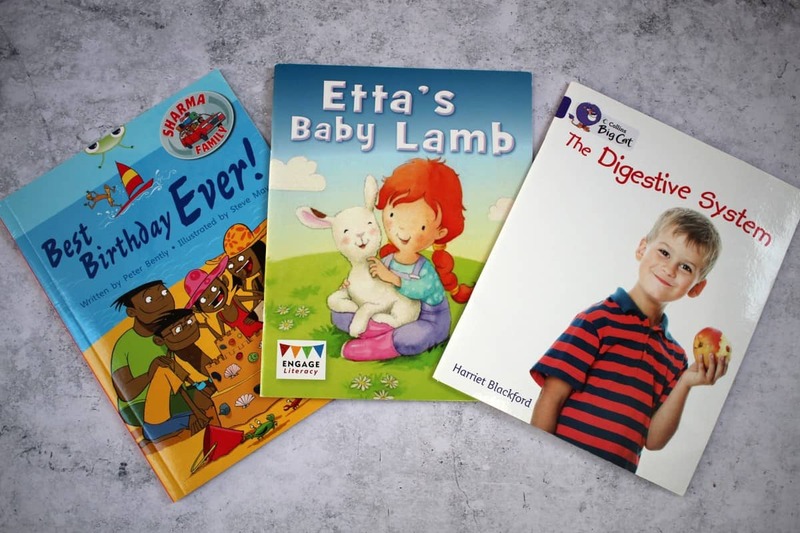 This information can be amended at any time, making it a subscription that can adapt to meet the reading needs of your child as they learn and grow. 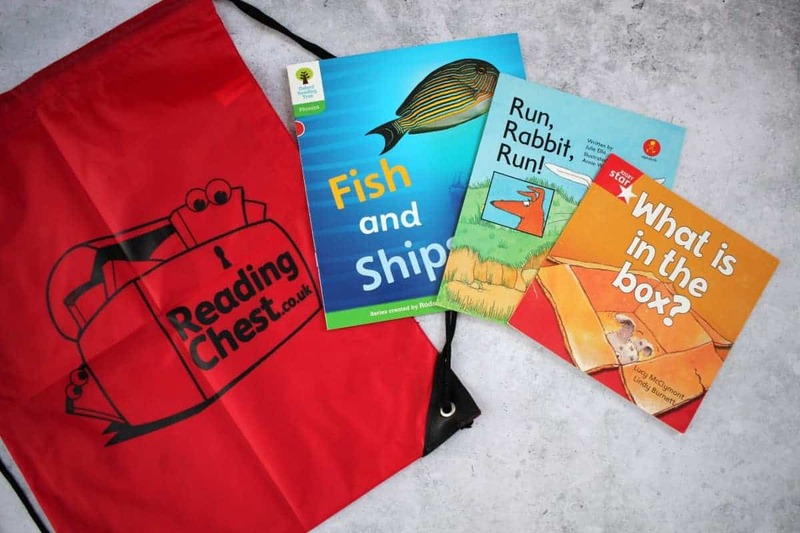 I love that Reading Chest can work happily alongside the children’s learning at school and includes books from reading schemes such as Alphakids, Rigby Star, Collins Big Cat, Project X, Oxford Reading Tree, Engage, Bug Club and many more. 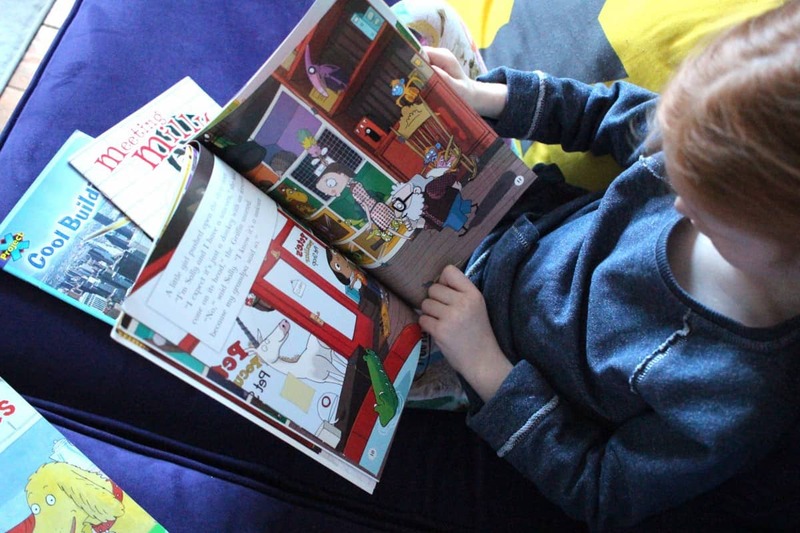 This means that as well as reading the books that come home with LP and Little Man from school, they also get to read other books at the same level. We have loved using Reading Chest since the start of the year. LP and Little Man love the surprise of what books will arrive next and they really like the variety that the books offer. As a parent I love having educational but engaging books arrive through the post for the children to read. It’s convenient and saves time in busy family life but helps to always keep the children learning and embraces their love of reading. 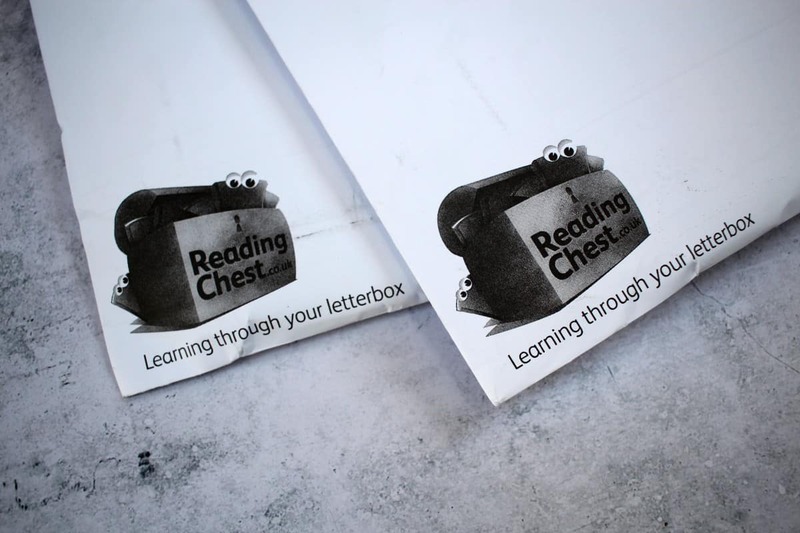 Reading Chest subscriptions start from £9.99 per month and can be cancelled at any time. My granddaughter and I love our books and this gives us a chance to read something new and different and new authors can do that. Would love to win to give my children some new reading material. My kids love reading and always have their nose in a book. I would love to win this for my son, we love reading together every night and are always looking for new books. My son loves reading and he had read HP and Wimpy Kid and I am out of books now. Having something like this would help me give him some more books to read! I would like to win for my niece who is a book fan. My son is doing very well with his reading at school and I would like to encourage him to continue his love for reading. I’d love to win as I’d enjoy reading these with my son. We could do with some new bedtime stories! As I’m housebound due to disability, books help to get me through the day. I love books and reading! Great review. I’m seriously toying with the idea of subscribing as I’m spending a fortune on phonic books for my son who’s in reception! He only gets two books a week and there’s never anything suitable in the library! The children would enjoy the books and I would enjoy reading with them. I would love to win this for my son as he enjoys reading and I would like to continue to encourage him.